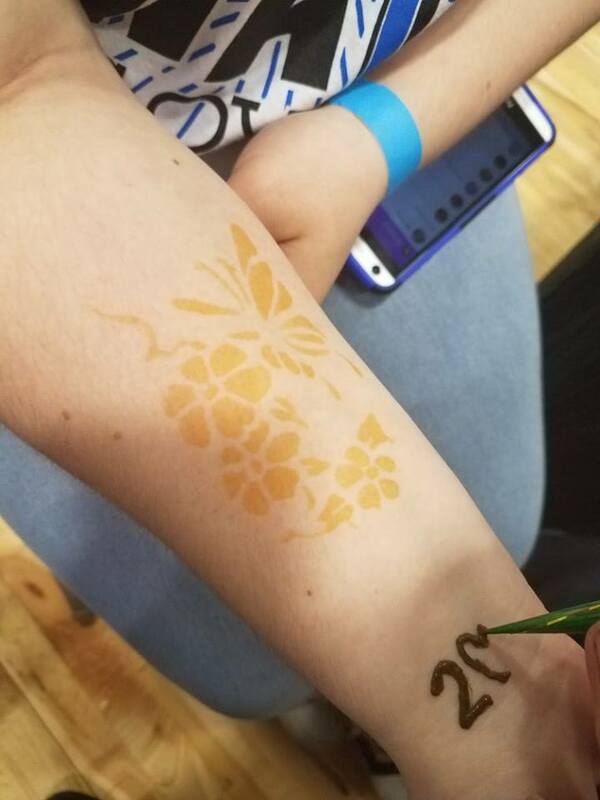 On the left here is a tattoo from someone that's not from us notice no white base coat and how dull looking it is and no blending of color. 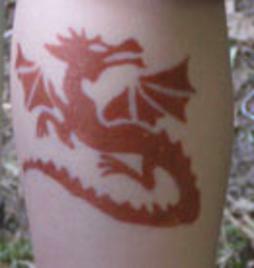 Above with a white base coat the colors are bright. 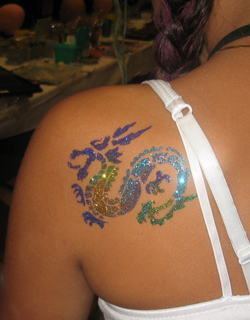 Your event can have the same fun as seen at UNIVERSAL STUDIOS and WALT DISNEY WORLD! 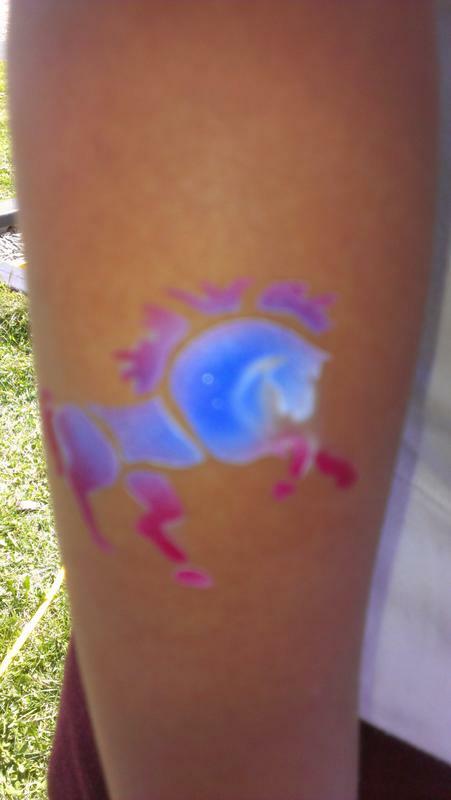 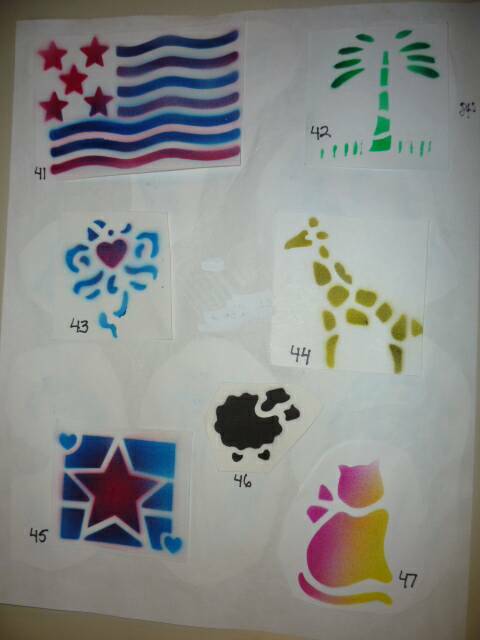 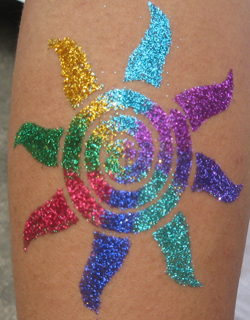 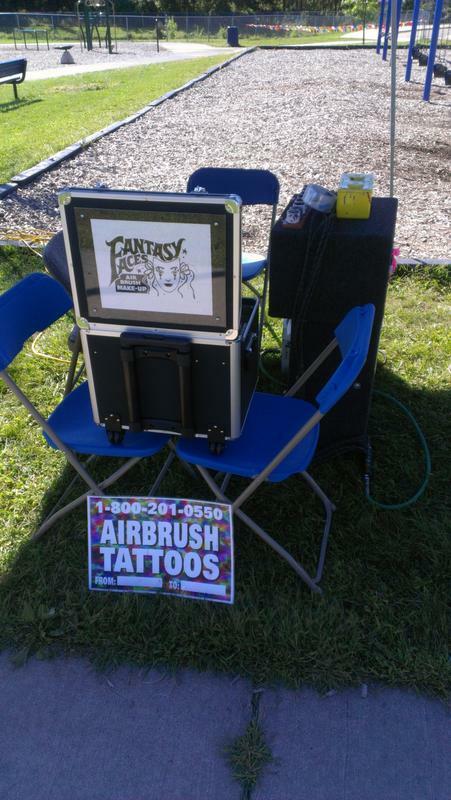 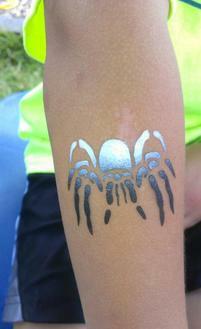 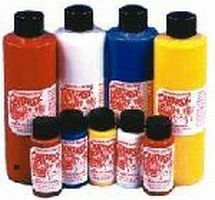 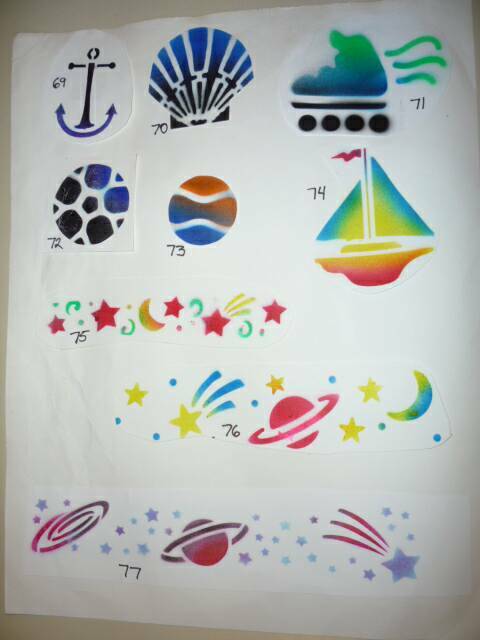 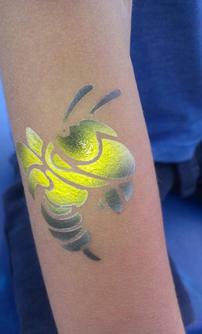 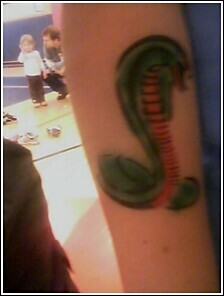 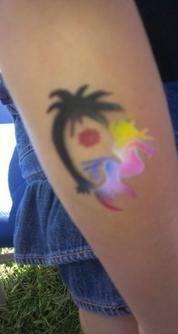 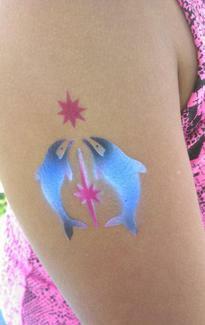 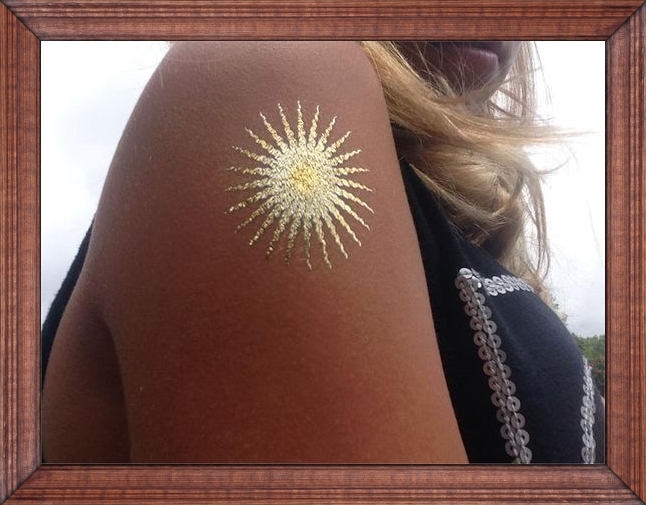 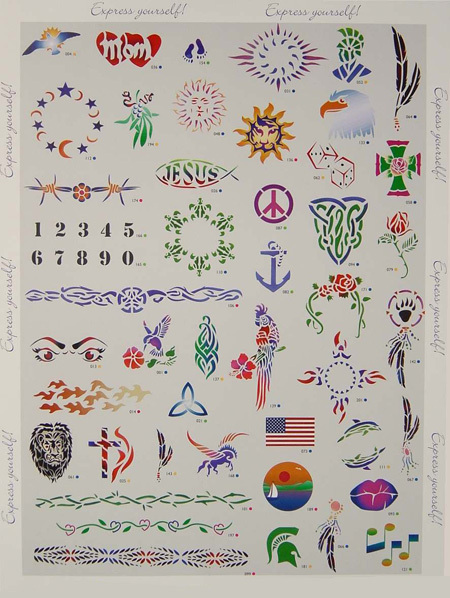 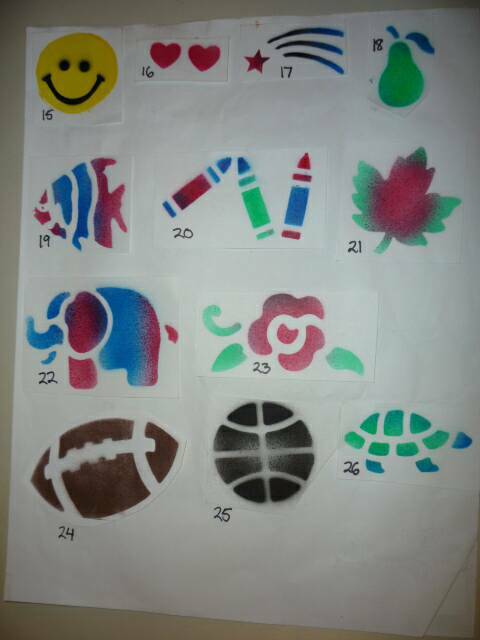 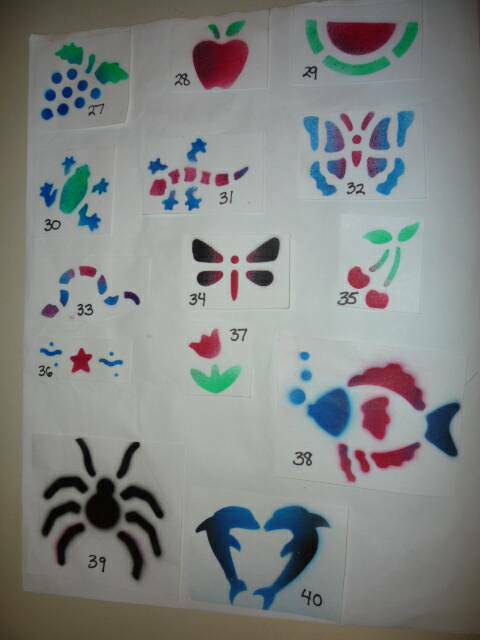 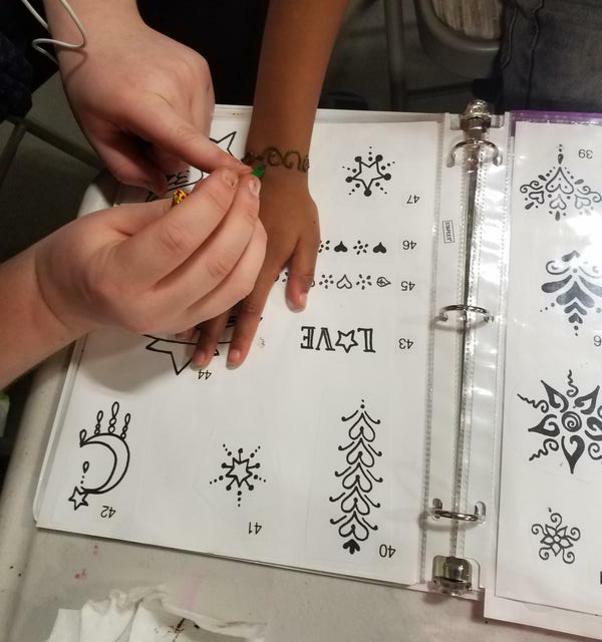 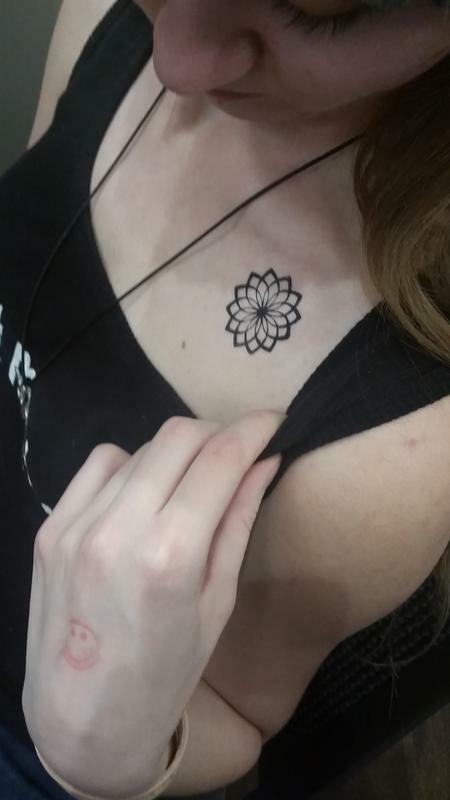 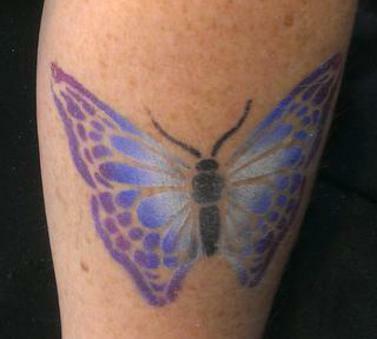 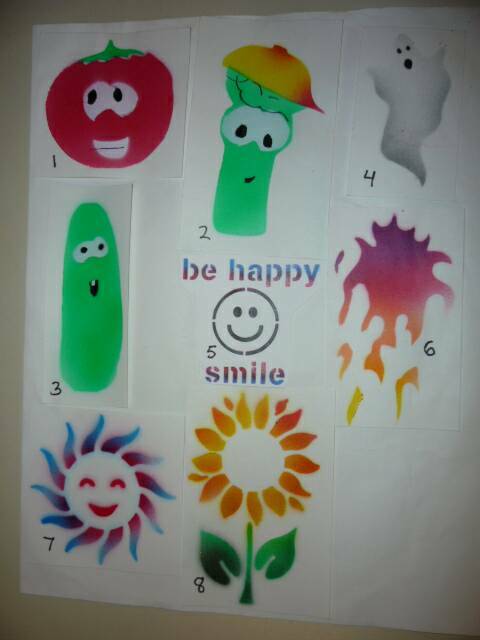 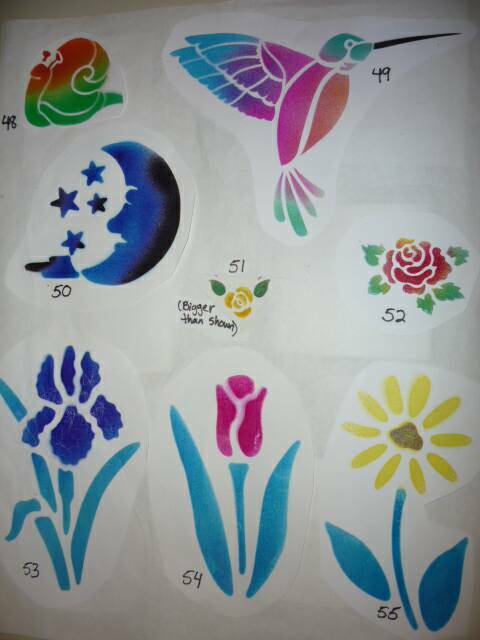 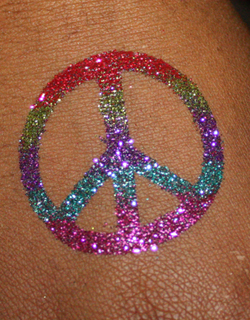 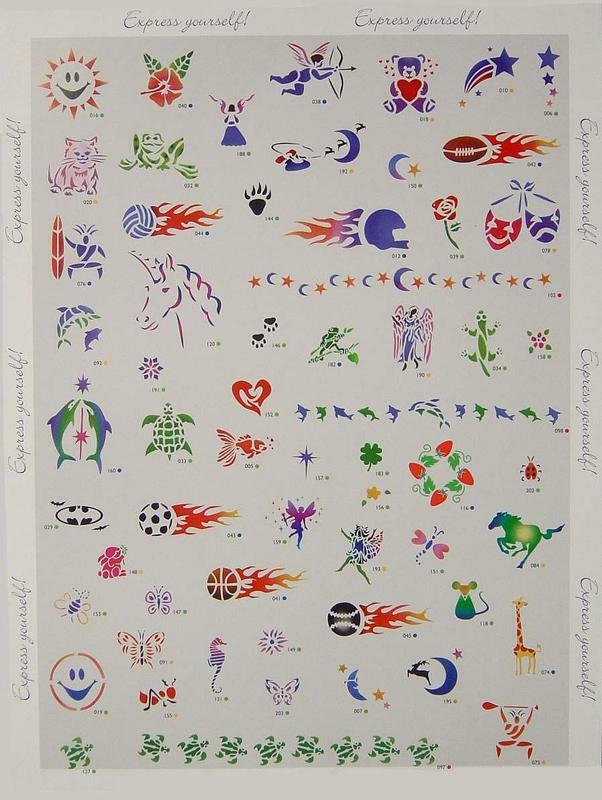 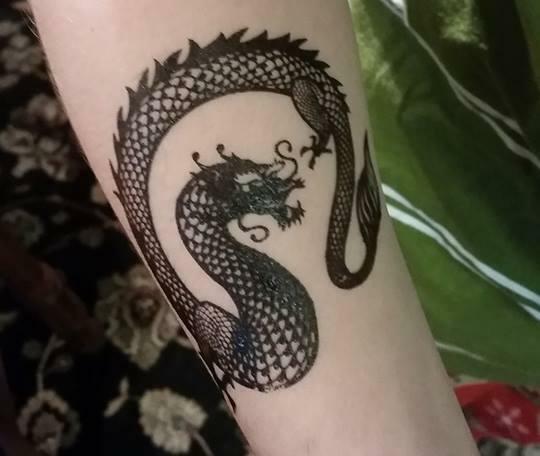 At Family Friendly Entertainment we have the largest and most versatile AIRBRUSH TATTOO set-up in Michigan! 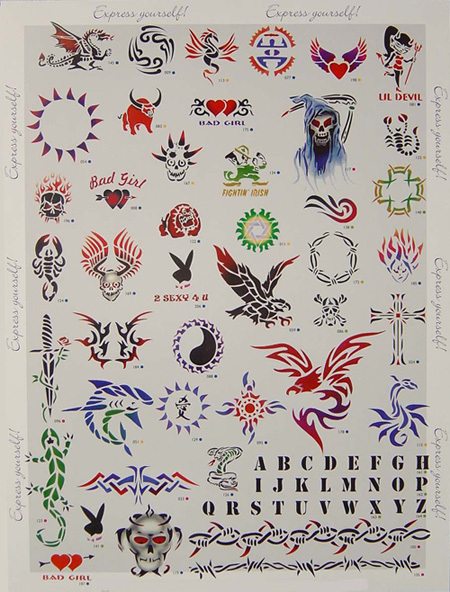 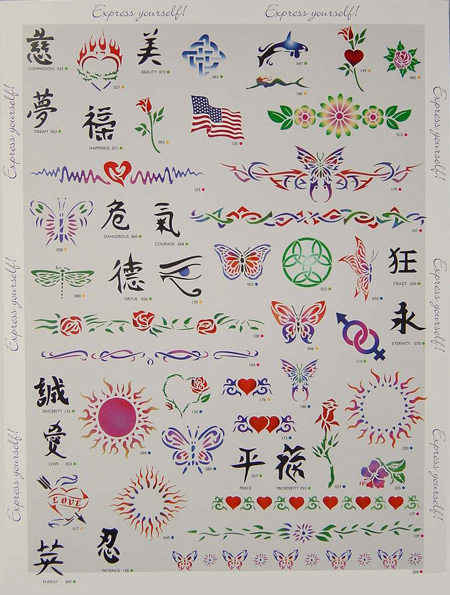 With hundreds of tattoo choices plus colorful backdrops, canopys, ropelights and the world's finest F.D.A. 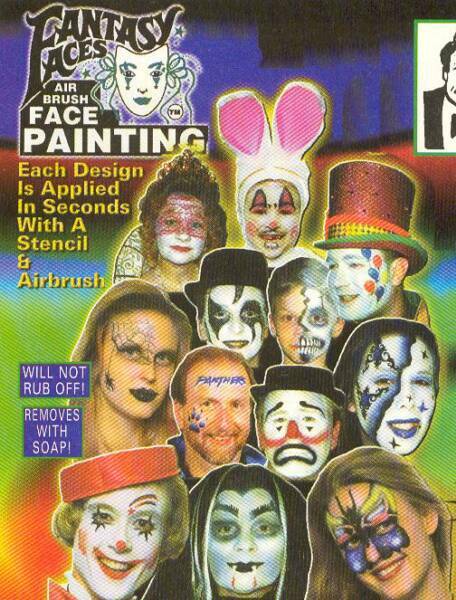 approved airbrush makeup with 7 bright colors! 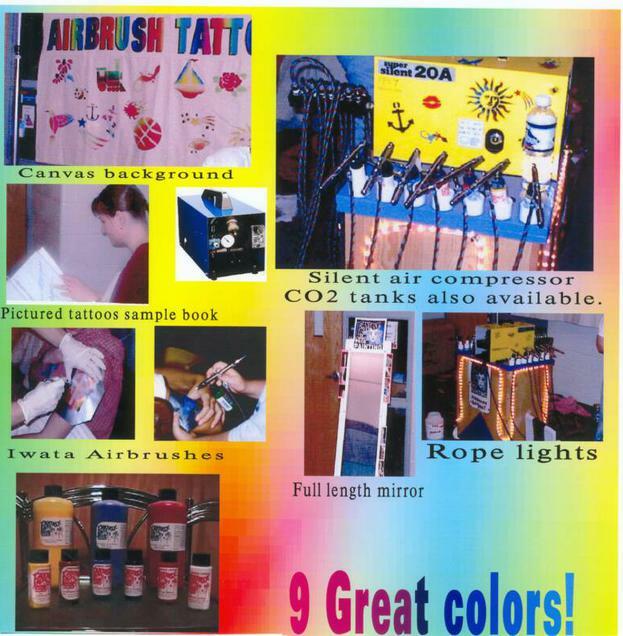 We can set-up anywhere with co2 air tanks. 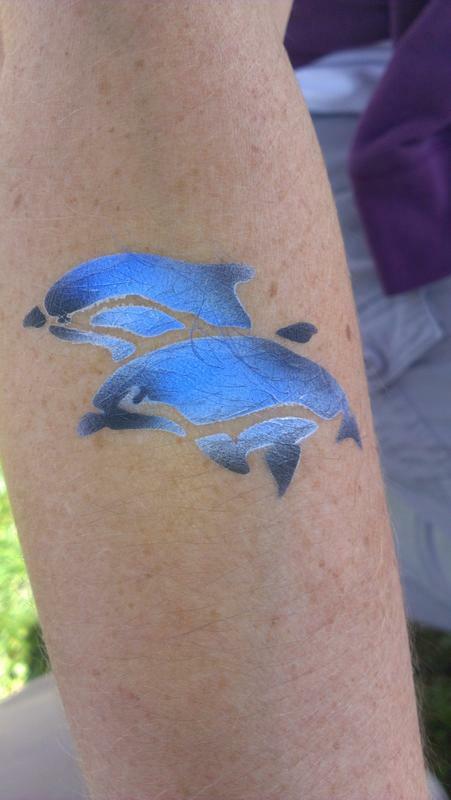 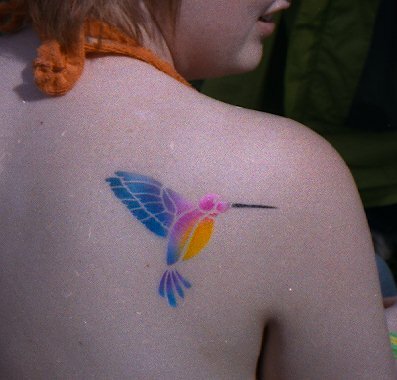 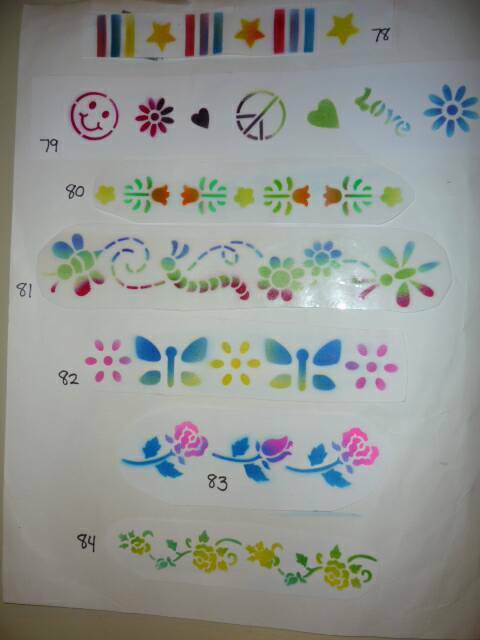 The Tattoos will NOT rub off on clothes or skin and will not fade and is water-resistant! 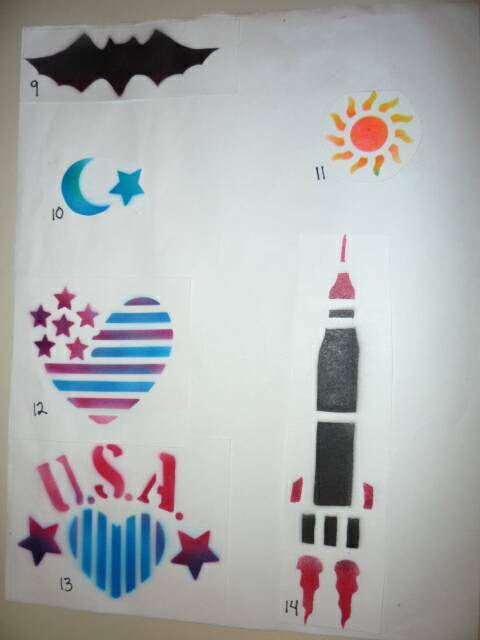 They can last up to one week! 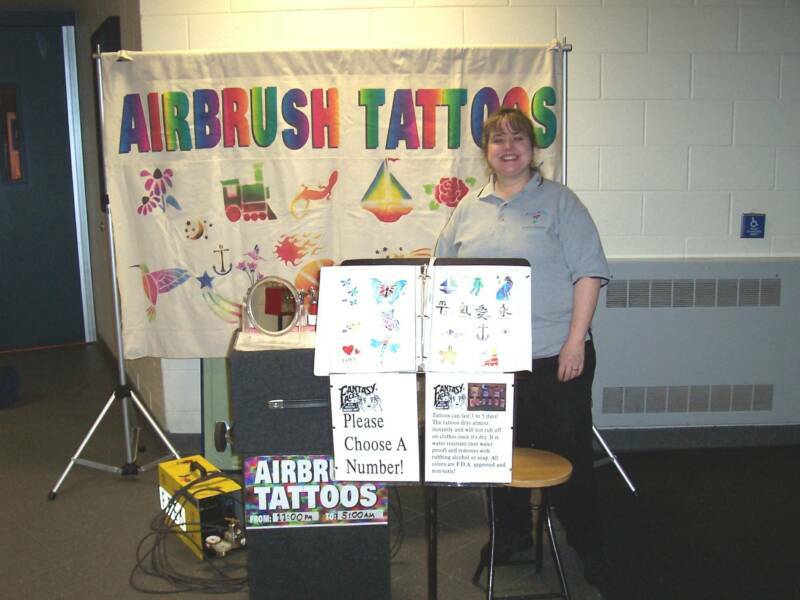 Our clean friendly and professional staff is ready for your event! 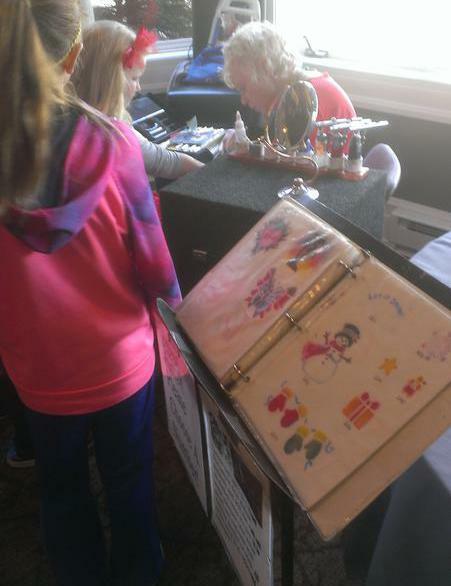 We have 6 systems that go out to events below is one of the books to choose from. 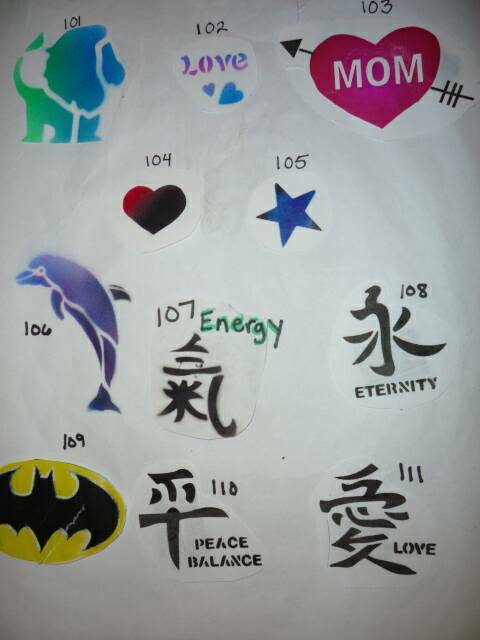 Each book varies a little. 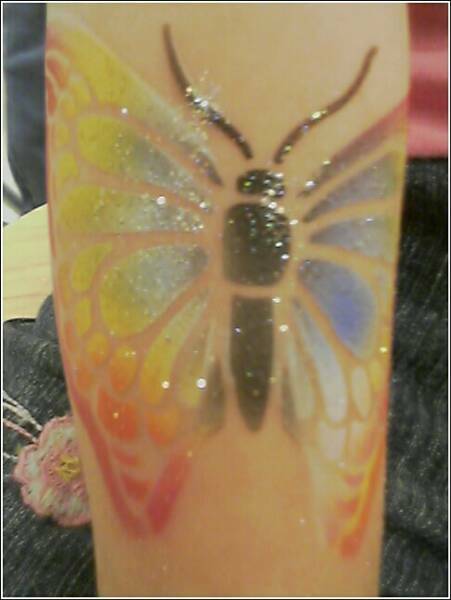 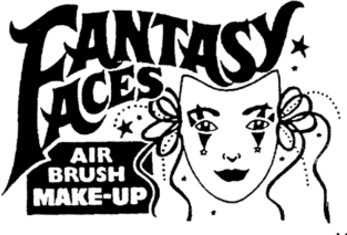 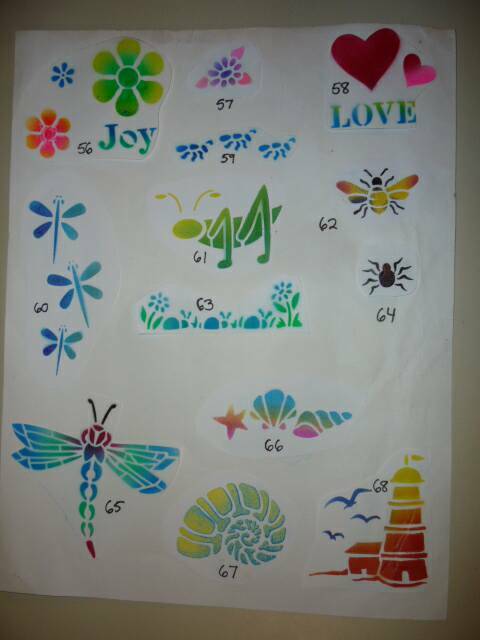 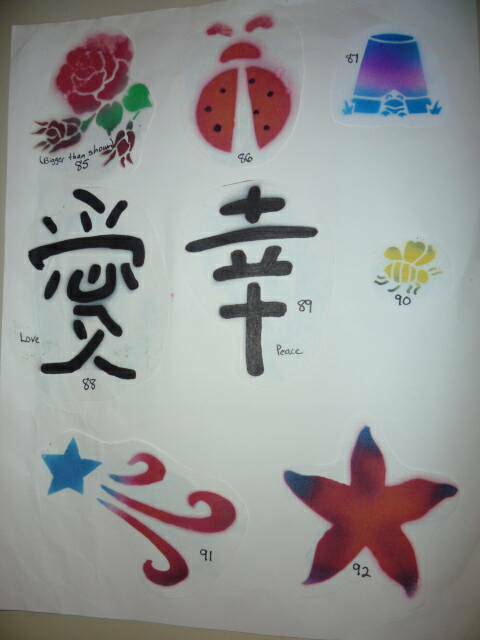 You will find cheaper artist who uses automotive airbrush paint which causes skin rashes and cracking on the skin. 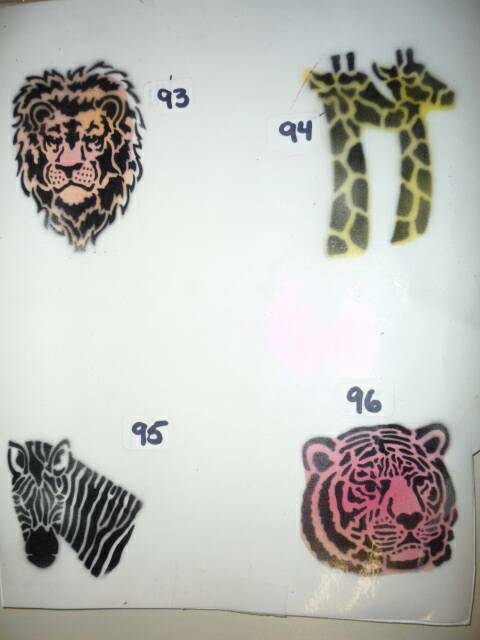 Beware of those.